I don’t know anyone who doesn’t love saving money. It’s especially exciting to me when I find a beauty product that performs on par with high-end formulas for a fraction of the price. I had heard a ton of praise for the Maybelline Superstay liquid foundation for months, but hesitated trying it because it’s always tough finding a shade match in foundation at the drugstore… so I dragged my feet for a while. But I finally tried it out and I think you’ll all be thrilled to hear my positive experience in my Maybelline Superstay foundation review and wear test! I picked up shade 220 which is a great match for me in the fall and winter. I’d probably have to go up a shade for the spring/summer when I wear self tanner more often. If you’re looking for a similar shade match, I also wear Estee Lauder Double Wear in Tawny, MAC NC37, NARS Stromboli and you can find a lot of other formulas on my YouTube channel Foundation Wear List playlist here. 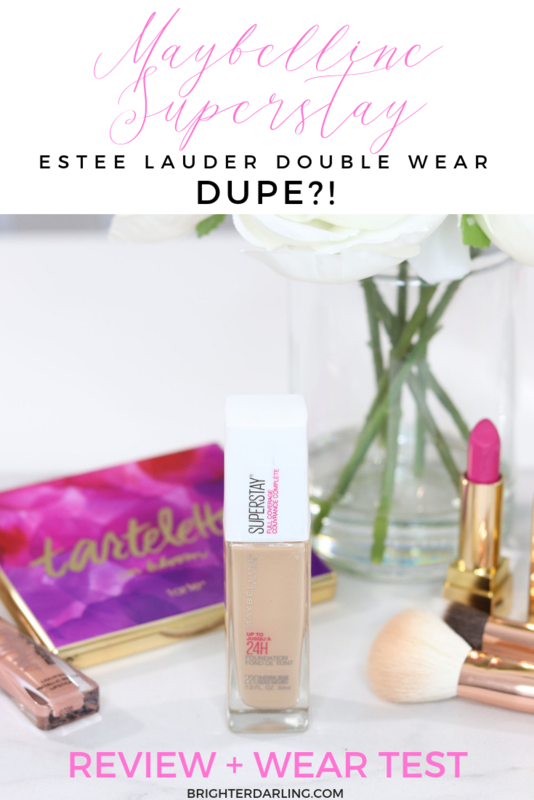 I don’t say this often, but I think the Maybelline Superstay Foundation is a dupe for my Estee Lauder Double Wear. There. I said it! There aren’t many formulas that I find don’t end up breaking down on some area of my face (usually my nose) throughout the day, and the Maybelline and Estee Lauder are now two of them. I also LOVE that Maybelline features a pump (something Double Wear doesn’t even have in the standard packaging… you have to purchase a pump separately). On my normal/oily skin, this foundation gave full coverage with a semi-matte finish that didn’t oxidize throughout the day or feel heavy. The ONE con is that this formula is a bit tough to find a shade match, and it obviously doesn’t compare with the shade options available in Estee Lauder Double Wear (50+ shades nowadays). To see the formula in full action over the course of my day, check out my wear test on YouTube below, and if you’re not yet subscribed to my channel where I post videos weekly, then you can do so here. 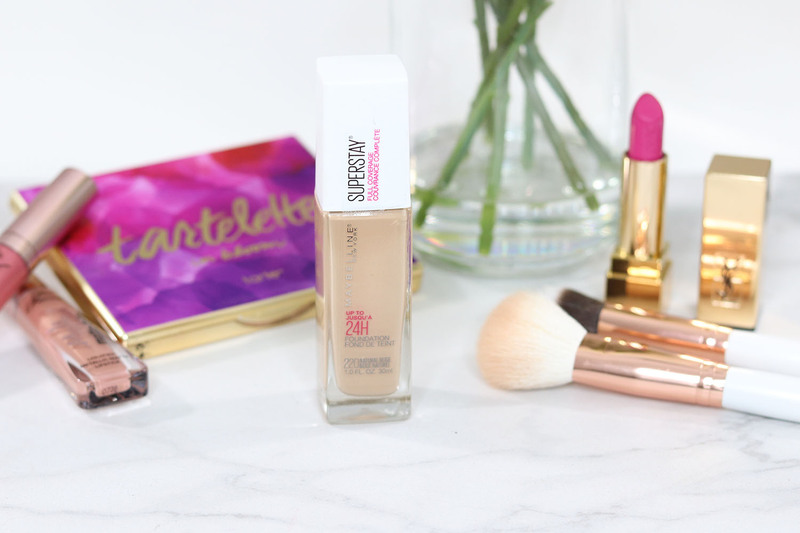 The Maybelline Superstay Foundation has become my FAVORITE full coverage drugstore foundation by far! 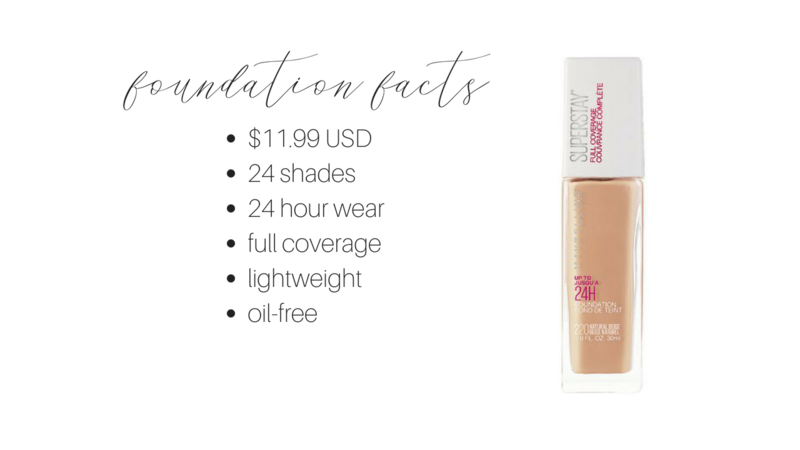 I still love my L’Oreal True Match Super Blendable makeup for medium coverage with a radiant finish (and one with SPF), but if you’re looking for a workhorse foundation that will stand up to long hours and work on oily skin with full coverage, then go check this one out. Have you tried this formula yet? Let me know what you think in the comments! "My Labor and Delivery Story 2018 | IVF Pregnancy"
"Pregnancy Files: 3rd Trimester Update [YouTube]"